Brazilian Embassy London, June 2008. Curated by Ricardo de Ostos. The exhibition explored the festival’s theme Fresh as the “Raw” in Brazilian architecture, understood as the not diluted, the not processed. It opened space for buildings and spatial experimentations which dare to propose new visions and challenge the way Brazilians live. Can architects propose social changes through basic spatial scripts, interdisciplinary partnerships and still communicate and bring it to a wider public? Changes as transformations are uncertain, sometimes unpredictable but fundamental to encourage social progress. Like the Parangole of the Brazilian artist Helio Oiticica, selected projects showed new urban scenarios, ambiguous solutions and fresh ideas. 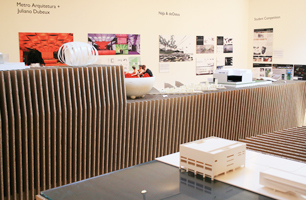 The exhibition presented the vision of the new, of the yet to arrive architecture produced by experienced as well as young Brazilian architects. The most exciting aspect for the exhibitors was the invitation to be engaged in social and economical issues which are not market driven but market drivers. Consequently we constructed an exhibition less as a container of the national architectural production; it was rather seen as a gate for talented Brazilian designers to bring forward their unique achievements and prospective visions of the near future. In an age where social and political engagement seem more and more disentangled from the contemporary architect’s agenda the exhibition opened an essential field for debate. “Raw” operates not as a concept but as a position, an attitude crossing from the works substance to its showing. The exhibition counted with challenging works of young upcoming architects like Metro Arquitetura + Juliano Dubeux from Recife, Fernando Maculan from Belo Horizonte, SUBdV from London/Sao Paulo and NaJa & deOstos from London. 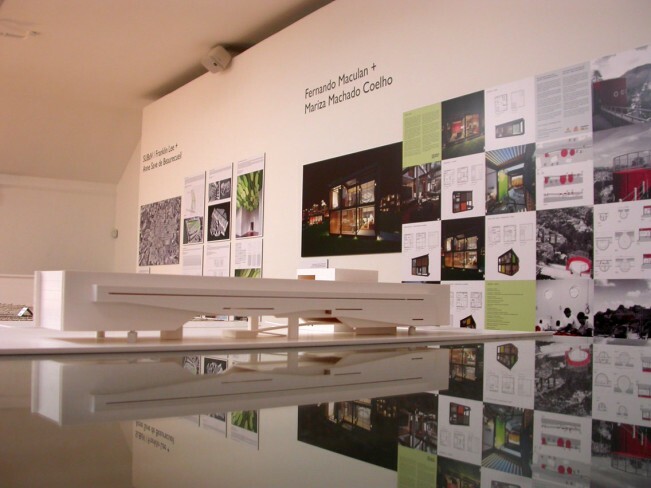 Well known architects like Brasil Arquitetura from Sao Paulo presented their latest built projects and Pritzker Prize winner Paulo Mendes da Rocha exhibited some physical models of his most recent projects.